Just aft of the Engineering Officer’s stateroom is the Logroom. 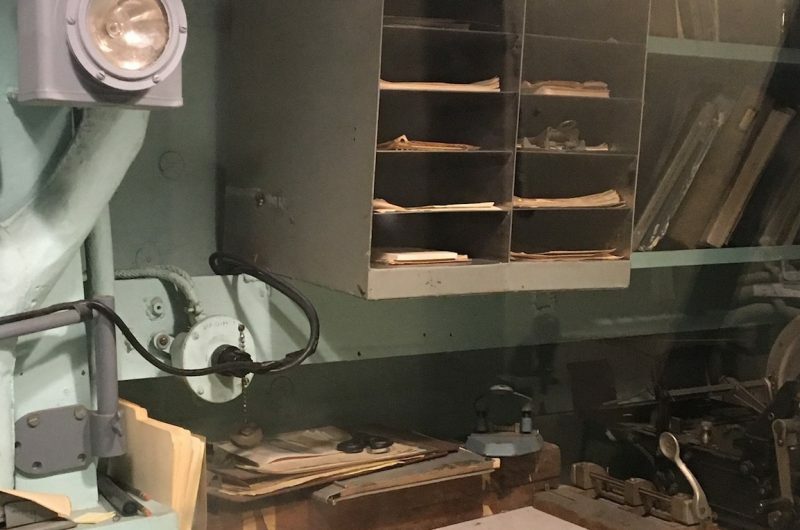 This was the office for the engineering department where the Chief Engineer’s men maintained all records necessary to keep the ship’s power plant operational. 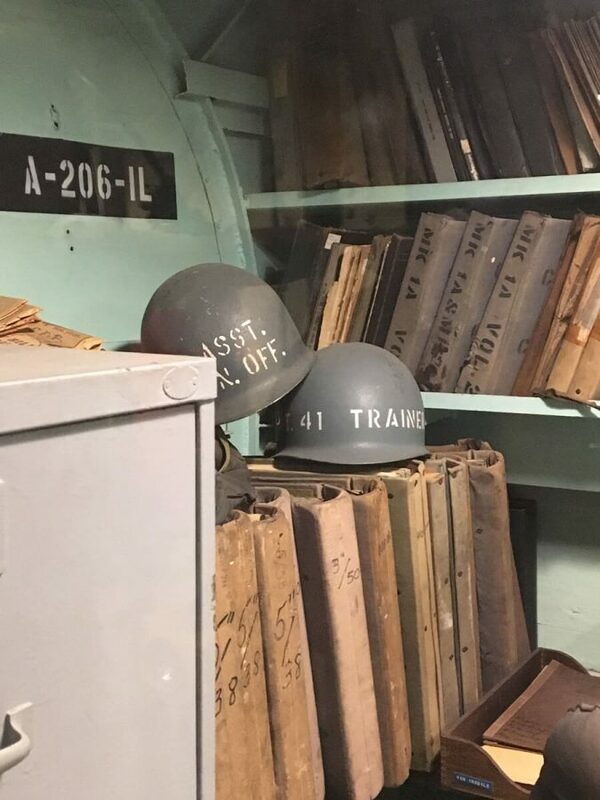 This included blueprints, equipment manuals, repair and maintenance logs, etc. Just aft of the Logroom is the Ship’s Office. This area handled the routine paperwork essential to shipboard operations. Shipboard clerks were known as Yeomen and handled all shipboard clerical duties. 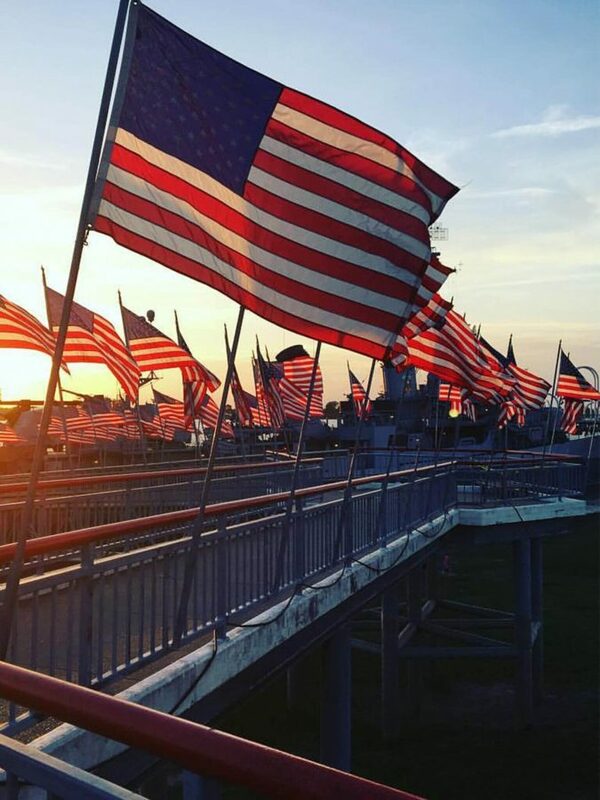 The ladder just inboard of these two spaces leads below and is the starboard side messdecks ladder. 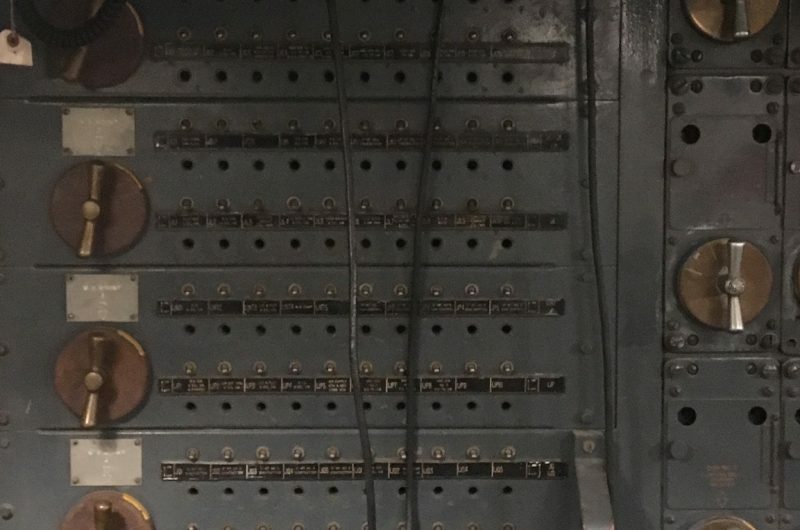 The compartment inboard of the Ship’s Office and Logroom is known as Interior Communications and Plotting Room (aka IC-PLOT). 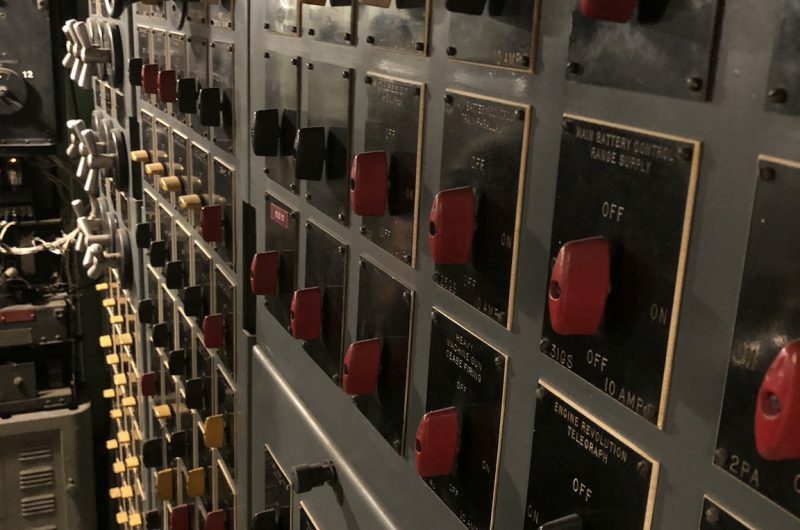 Interior communications equipment included the main communications switchboard forward, the master gyro compass and gyro switchboard, the public address system amplifier, and the sound-powered telephone system switchboard. 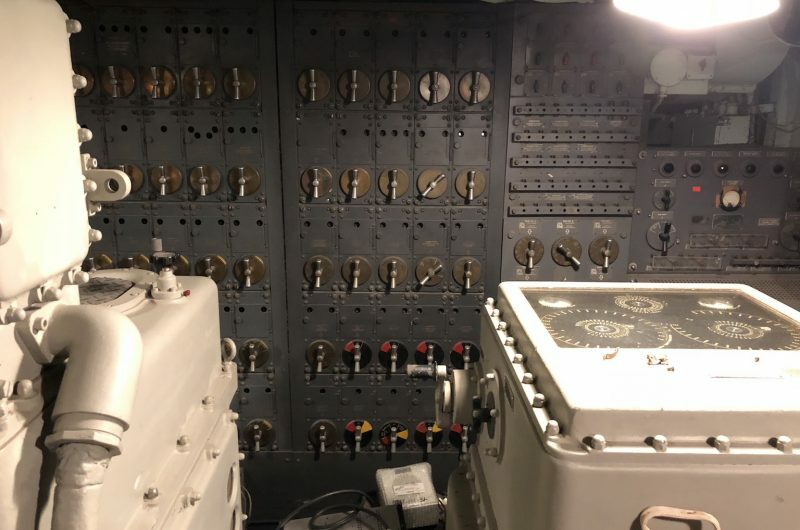 The gunfire control systems here included the main battery computer and fire control switchboard. 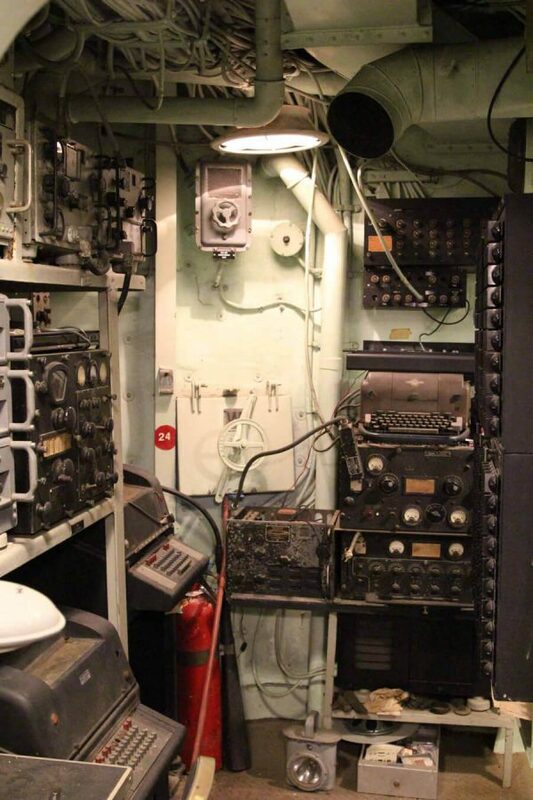 In the Navy, fire control was the science of directing gunfire with optics and radar. 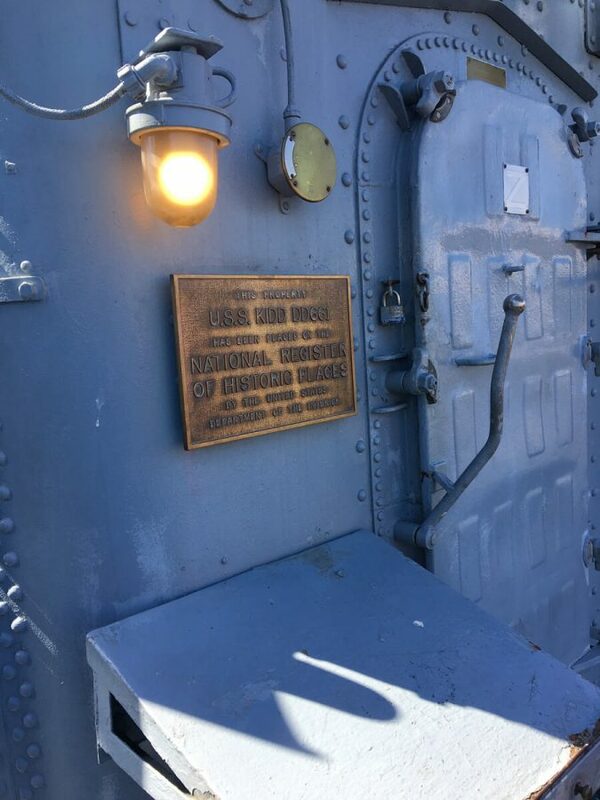 Fire Control, centered in the Mk-37 gun director, was located atop the pilothouse (or bridge). The gun director was a rotating box that contained optics and radar for locating and tracking targets. From the gun director, information on target course and speed was fed automatically into the Mark-1A fire control computerlocated in IC-PLOT. 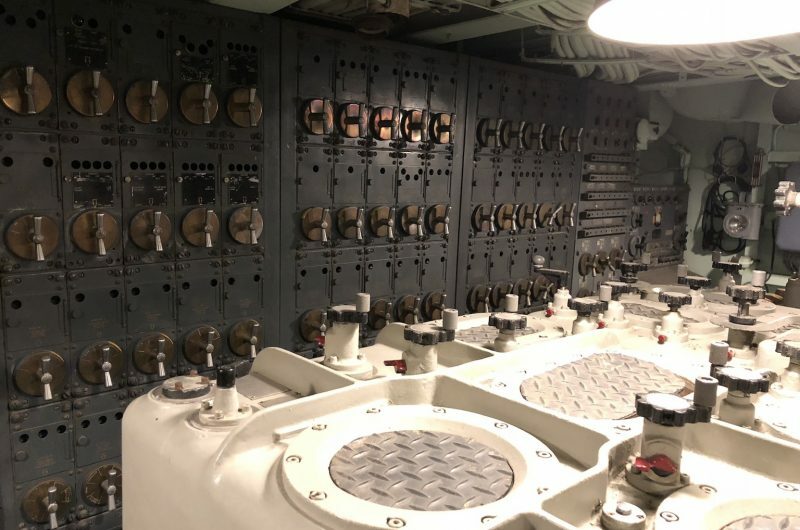 This computer combined the information from the director with information on the KIDD’s course and speed, wind speed and direction, ship’s roll and pitch, and the correct range and trajectory for each gun. The resulting computation was where the guns needed to be aimed to hit the target. All five 5″/38-caliber gun mounts and both 36″ searchlights could be fed this information simultaneously. The gyro-compass in IC-PLOT was essential for keeping the guns on target. It is a stable element unaffected by the pitch and roll of the ship as it moves through the water. 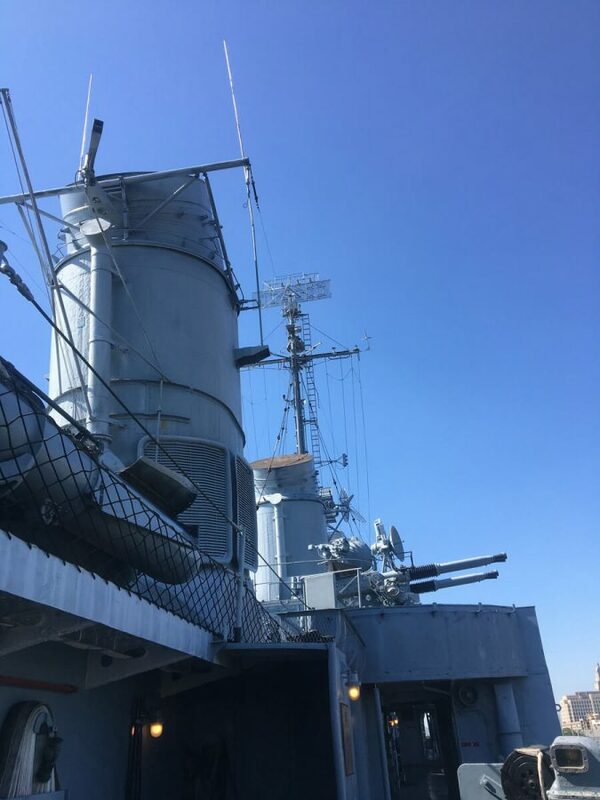 Using the gyro-compass, the KIDD’s guns were kept on target automatically by the director and the computer through a series of automatic electrical and mechanical signals, moving the guns to stay on target in spite of the ship’s movements. In the event of director system failure, the guns would have to be aimed by the individual gun crews. This was a formidable task. Imagine standing on one end of a child’s see-saw or teeter-totter as it moves, trying to hit a bulls-eye 100 feet away with a paintball gun. You would either have time your shots to the exact moment that your target passes through your sights, … or your gun would be constantly on the move keeping the target in your sights. Without the gyro-compass, hitting a target from a moving, pitching, rolling ship took on a greater magnitude of difficulty, … especially when the target was shooting back and time was of the essence! The Mark-1A is an interesting machine in that, while it seems to be very sophisticated, it is actually very primitive. It can be really be called a slide rule computer. It is an ancestor to the machine which you are using now to view this virtual tour. It was created and used before the days of transistors, sound cards, video monitors, hard drives, or CD-ROMs. And yet, it worked and worked well. 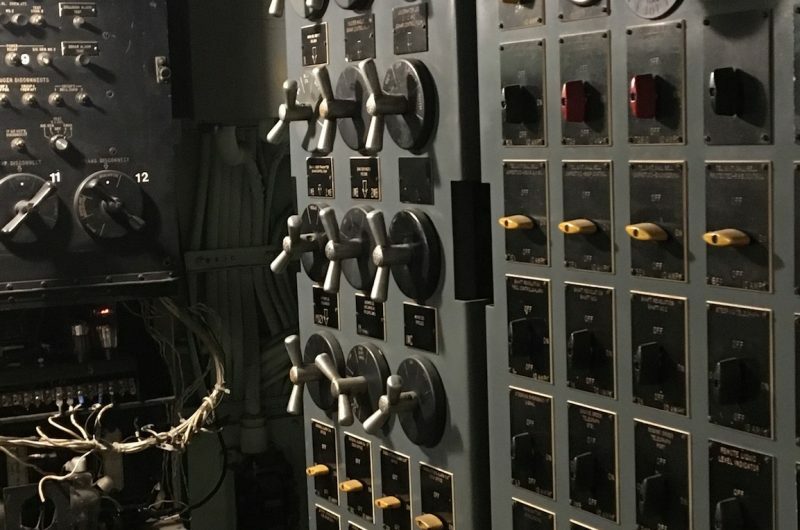 With the tremendous leap taken in technology since the days of World War II, the full capabilities of Aegisfire control system on today’s guided-missile destroyers is nothing short of magical in comparison to the Mark-1A.